In a world where individual investors of all sizes can be truly global, where does one put their money? Short answer: I don't know. However, it is a lot more straightforward to find out where everyone else's money is. 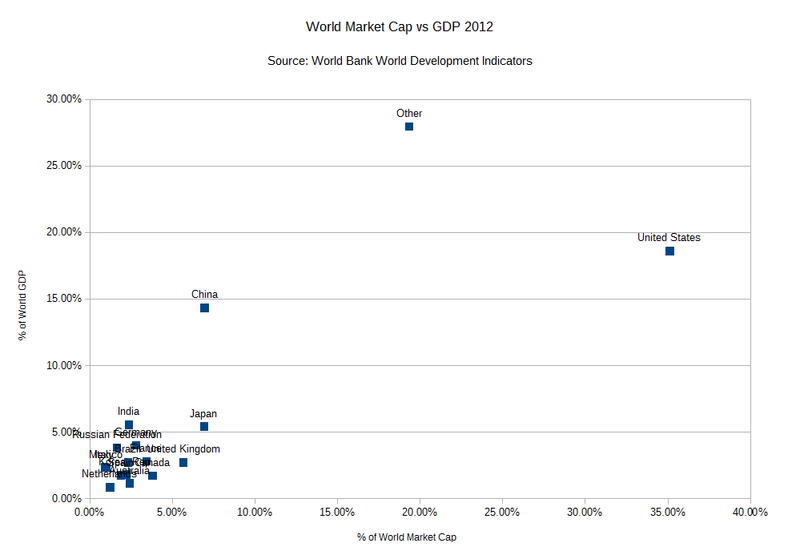 Countries in Top 20 Market cap but not GDP: Hong Kong SAR 2.08%, South Africa 1.15%, Sweden 1.05%, Switzerland 2.03%. 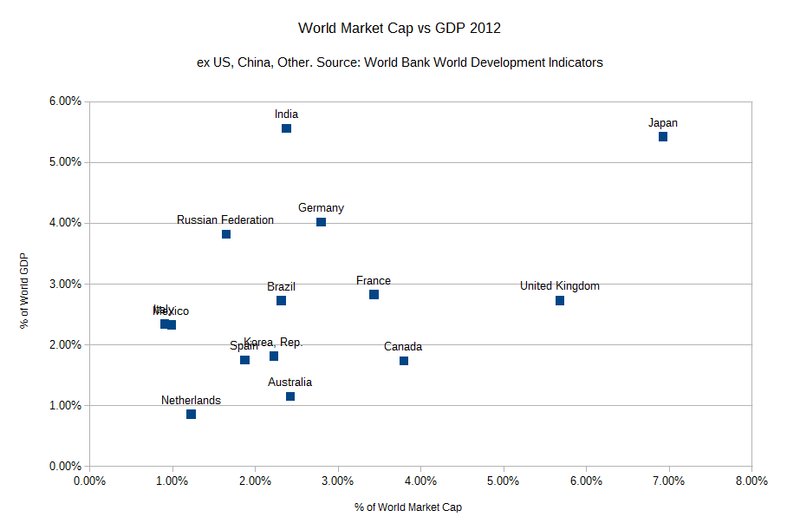 Countries in Top 20 GDP but not Market Cap: Indonesia 1.39%, Poland 0.96%, Saudi Arabia 0.99%, Turkey 1.58%. How much you produce and how much you're worth are unrelated. But you didn't need a graph to tell you life's not fair.